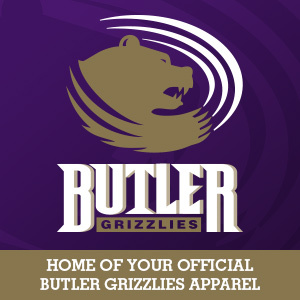 Black and white plaid pants "Butler Grizzlies" imprinted in white and the Grizzly Powerhead imprinted in purple on the upper left front. Side slash pockets and drawstring waist. 100% cotton.